Emily and I meet a lot of people from all over the world. Some are seasoned travelers with dozens of countries under their belt, and some are on their first trip abroad. We see many of these newer travelers making the same or similar mistakes. On a long delayed 18-hour train ride in India recently, we compiled the top five mistakes new travelers make. We will admit we are guilty of every single one of these. Hopefully we don’t make them as often or as severely as we used to. I’ll conclude each one with our tip to avoid these common new traveler mistakes. I cannot count the number of times I’ve seen a fellow backpacker lugging around a 70 liter main pack, and a 25-30 liter day pack, both stuffed to the brim. My very first backpacking trip in Europe (as a 17 year old), I made this mistake. I had a 70 liter North Face pack, and a 20 liter day pack. It likely weighed well over 50 pounds. I didn’t use even a 1/3 of the stuff I brought. On this trip, I have a 33 liter main pack (that’s about 70% full), and a 22 liter day pack (that’s mostly empty). Altogether I probably have 40ish liters of stuff between my main pack and my day pack. I am quite comfortable with the gear I have. I would argue that you need no more than 55 liters combined between your day pack and your main pack to comfortably live out of on the road, for an indefinite amount of time, for every climate. See Emily’s updated packing list and video, and my packing video for ideas on what to take when you travel. 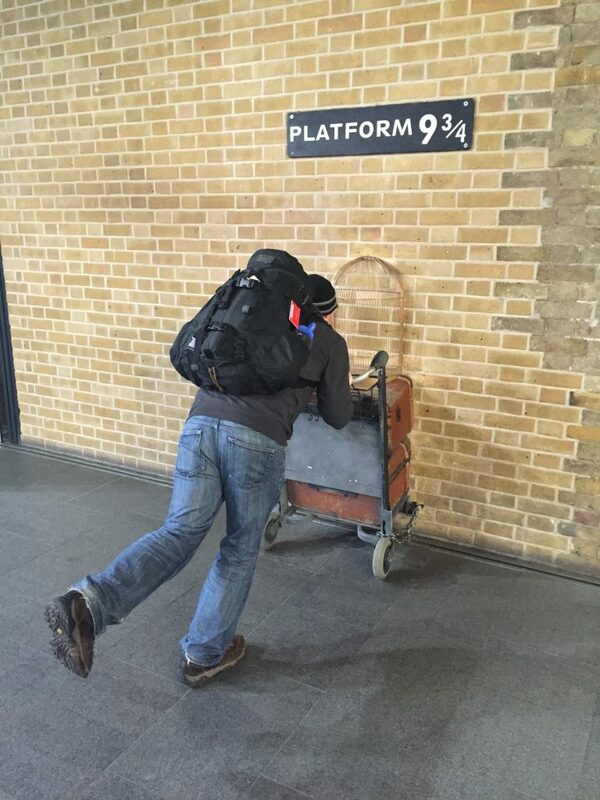 If my pack and its contents are good enough for a RTW trip, it’s good enough for Hogwarts. Our tip: Lay out all of the gear you think you need for your trip. Cut it in half. That’s what you should take. If you truly need something you didn’t bring, you can pick it up on the road. Your main pack should have no more than 40 liters and your day pack should have no more than 15-20 liters. Shoot for a total weight of less than 30 pounds for all of your gear. 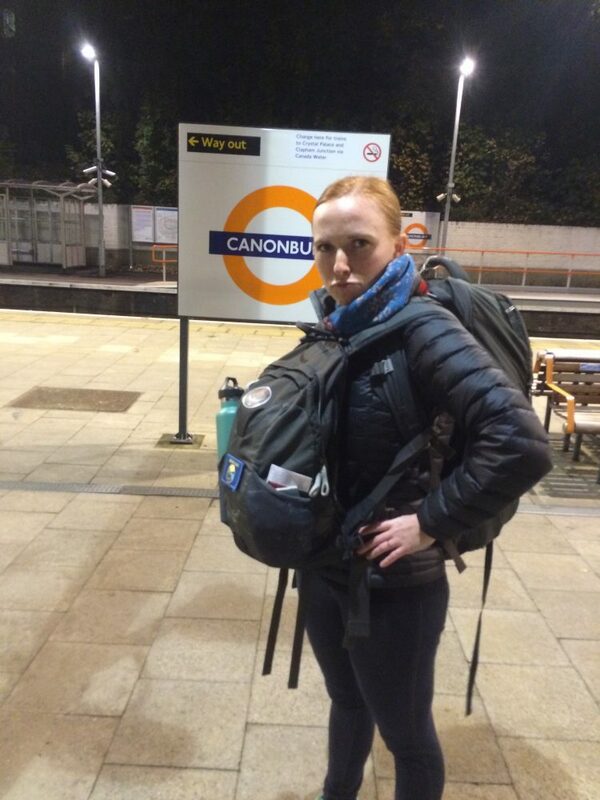 Your back will thank you for the light weight when running to catch a train. Your wallet will thank you when you save hundreds on checked bag fees. One final piece of advice: your pack(s) should be no more than 75% full when you leave for your trip. That extra 25% will come in handy when you need to buy food for a long train ride, or you need to pick up new gear for the road. Why would you rush yourself through that view? Take the time to appreciate and reflect on what you’re seeing. We made this mistake quite often in the first month or two of our travels. We raced through Zion, Bryce, and Grand Canyon National Parks, only giving ourselves a day or so for each place. I regret not spending more time at each park. We see many travelers announce their plan to see too many sights in not enough time. You should travel to experience things. You should not travel to say you visited a place. Don’t snap a selfie in front of a place and then move on. Experiencing things takes time. Give yourself a beat. Sit down. Enjoy the view of whatever monument/wonder/place you’re in. 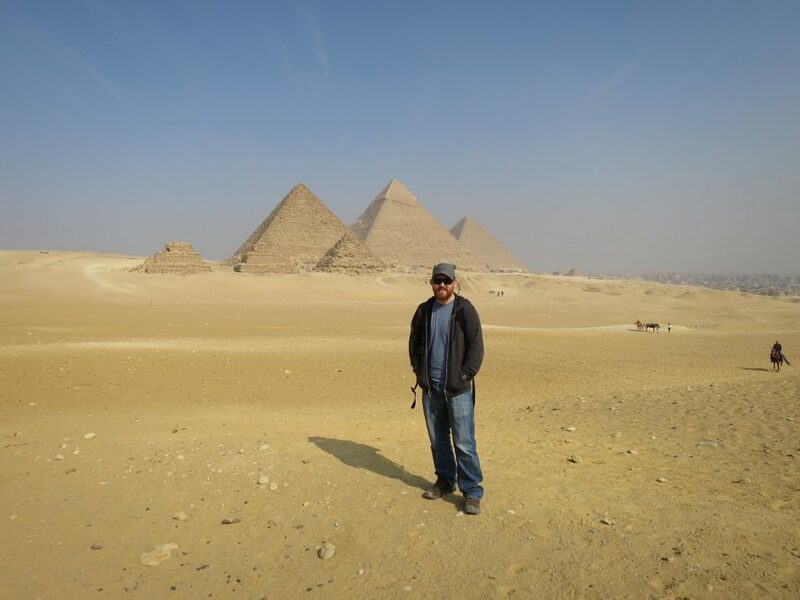 Our tip: Give yourself at least 3-4 days per location you want to visit. Figure 1 day to get settled, 2-3 days (or more) to see the sights, and 1 day for your travel day when you leave. 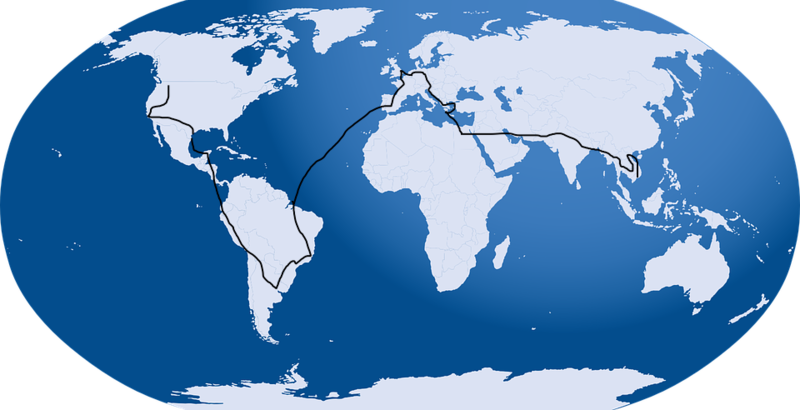 Even though we’ve seen 20 countries so far, we haven’t felt too rushed, thanks to our relatively slow travel pace. Anytime you’re abroad, people will try and take advantage of you. Scammers know that you don’t necessarily know how much a taxi ride should cost. They will use your lack of knowledge against you. People will approach you on the street, hustling you to buy their product or service. Be wary of anyone on the street that approaches you. Ninety percent of the time, it’s a hustle. We’ve met several travelers that have too easily parted with their travel money because they trusted a stranger. Unfortunately, we’ve been those travelers- even as recently as a few days ago. Our tip: You should always default to skepticism while interacting with people that approach you. Best practices for dealing with street hustlers is this: don’t. Engaging a hustler invites more hustling. Ignore people that approach you, look up standard prices for transportation to and from your accommodation before you arrive, and bargain hard when haggling for services like taxis. If you know a local, ask them what they pay for a taxi ride. Try your hardest to get that price when haggling, but don’t expect it. Finally, check out my post on some of the most common travel scams we’ve seen around the world. In many parts of Europe, we encountered these massive tourist buses, packed with English or German or Chinese tourists. The group would get off the bus, be led around for a few moments or taken to a pre-determined restaurant, and then get back on the bus. These kinds of all-inclusive, every-detail-planned, trips can be attractive to new travelers. Someone else arranges all the transportation, lodging, and dining. What’s wrong with that? I’ll tell you what’s wrong with that. Someone else is arranging your vacation. You’re going on someone else’s vacation. And it will definitely be more expensive than if you went on your own. Our tip: I went on an all-inclusive tour of western Europe in high school and had a fantastic time. That said, I would never take an all-inclusive tour again. It’s a good way to get your feet wet traveling, but don’t be afraid to go out on your own, and plan your own trip. It will be cheaper. You will make mistakes. You will have Type II fun. But it’s all part of the adventure! Instead of taking an all-inclusive tour, hire a guide for a single day. 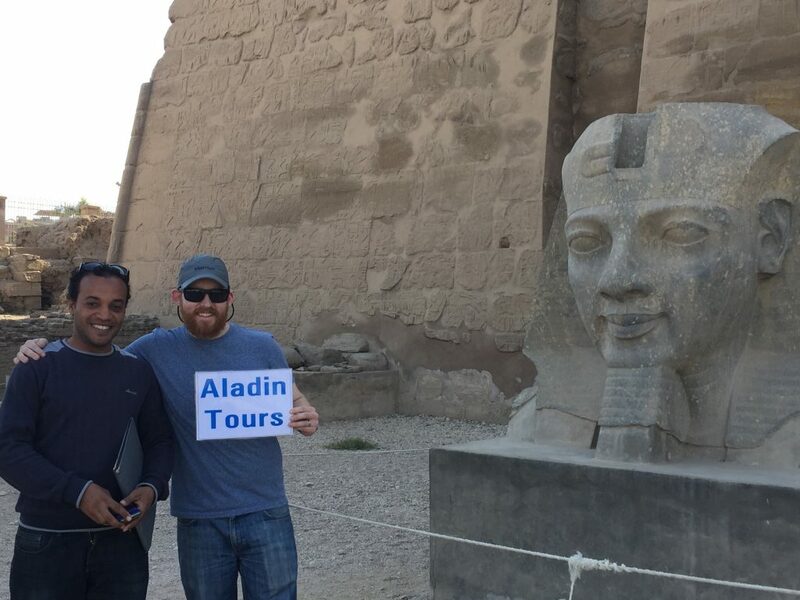 We had a wonderful time with Hassan at Aladin Tours in Luxor, Egypt. Emily’s budget skills allowed us not only to save for this trip, but also allowed us to actually make it through the trip! We have about 6 weeks left before we come home and we are still on track. We’ve run into a few travelers that will offhandedly mention, “Oh yeah, I’m $2000 over budget. Not sure what I’m gonna do when I get home.” Keeping a budget requires a modicum of discipline, but not keeping a budget will cut your trip short, or send you into debt. Emily has several great posts on how much it costs per day to see certain countries: Mexico, Europe, USA, Argentina, and Peru. Our Tip: Use Emily’s posts as rough guidelines to create your own budget for your destinations. As a general rule of thumb, find out how much you want to spend on accommodation at your destination. Multiply that number by three and that should be about your daily budget. Once on the road, we recommend using the app “Trail Wallet” to track all your expenses. It’s a bit of a chore to enter every penny you spend, but it is oh so worth it. We’ve made a lot of mistakes on this trip, and we’ve seen other travelers make the same or similar mistakes. If you can avoid these five mistakes that new travelers make, your trip will be much less costly, and much more enjoyable. That said, don’t be afraid to go out and make mistakes. As my good friend Kaiser is oft to say, “Adversity breeds excellence.” Travel finds a way to push you into lots of adversity. The more you travel, the better you become at it.